First Republican President Dr. Kenneth Kaunda has described his late wife as a great activist for Zambia’s Independence, a dear wife, friend, advisor and supporter. Dr. Kaunda, in a message read on his behalf by family representative Pius Kasutu during a Church Service at the Cathedral of the Holy Cross, said the journey of life with Mama Betty was a fruitful one. Dr. Kaunda recounted events of the past few weeks when he and his wife celebrated their 66th anniversary without knowing that the end of the lovely journey of their marriage vows was near. “My dear girl, your departure has been unexpected. In fact, on the night of Tuesday September 18, 2012, the day before your passing, I was in Durban, South Africa receiving the Mahatma Gandhi Peace Prize,” he said. He said, “There, I shared with others the song I sang for you during our courtship, the song of Pagna Moon. I told them that you had days earlier gone to Harare, Zimbabwe to visit our daughter Musata, son in law and our grandchildren,” he said. “My girl Betty ours was a journey of Happiness and love,” said Dr. Kaunda. “I recall the times when Betty, my girl could go and ask for food from the colonial masters when I was in prison, and my children running away when I came back home with long a beard, this was because they never knew me to be with them because they were always with the mother, Mayo kwaisa ichimuntu no mwefu uutali,” recounted Dr. Kaunda. He further described the death of Mama Betty as very unexpected. Dr. Kaunda said working together during the struggle for independence was the most difficult time for the family as he had to leave her with the children for a long time amidst the challenges of providing for the family. He further described his late wife as a freedom Fighter who led fellow women to strengthen the struggle despite the dangers that came along. Dr. Kaunda said Mama Betty’s involvement in the struggle was for the love of peace and justice. “Betty never hated the colonial masters but she was against the injustice of the masters,” he explained. He said despite not been in the lime light, Betty was always in the forefront of organizing women in support of harmony among families together with other first ladies. 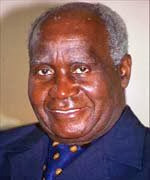 Dr. Kaunda, however, attributed his marriage and success with his late wife to a partnership that came through Gods’ divine love. Meanwhile, Daughter, Granddaughters and grandsons to the late Mama Betty have described Mama Betty as a pillar of hope trust and hard work who always had a heart for the people without segregation. Daughter Masata Banda from Zimbabwe where Mama Betty went to visit and later died said it is such unforgettable moment as she hardly knew that her mother visited her for the last time. Mrs. Banda said Mama Betty was a preacher of peace, Unity and love for all people. She said Mama Betty never got tired to teacher her children, grand children and great grand children the better ways of life and the importance of justice and harmony among people. The former first lady was born on November 17, 1928 in Chinsali and will today be put to rest at the Kaunda’s farm Estate near state lodge in Lusaka.